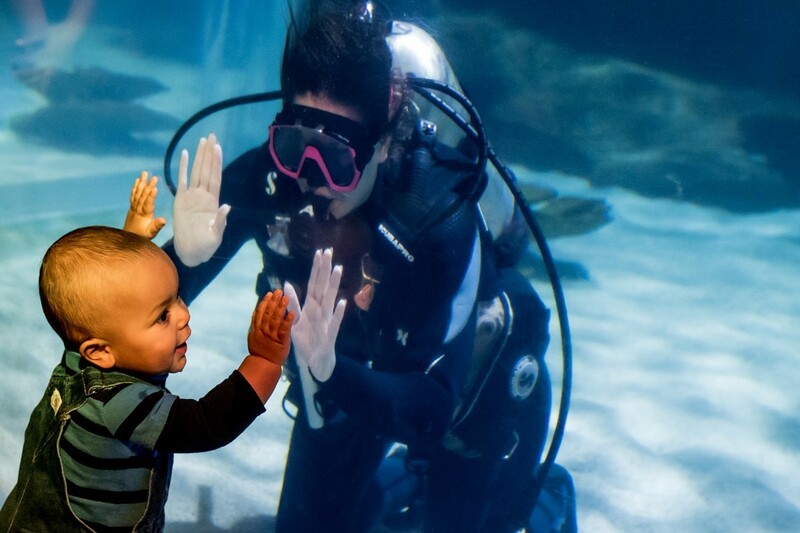 ﻿ Greater Cleveland Aquarium - Ohio. Find It Here. Did you know male seahorses give birth? That an archerfish can spit with deadly accuracy? That a giant Pacific octopus can solve puzzles? 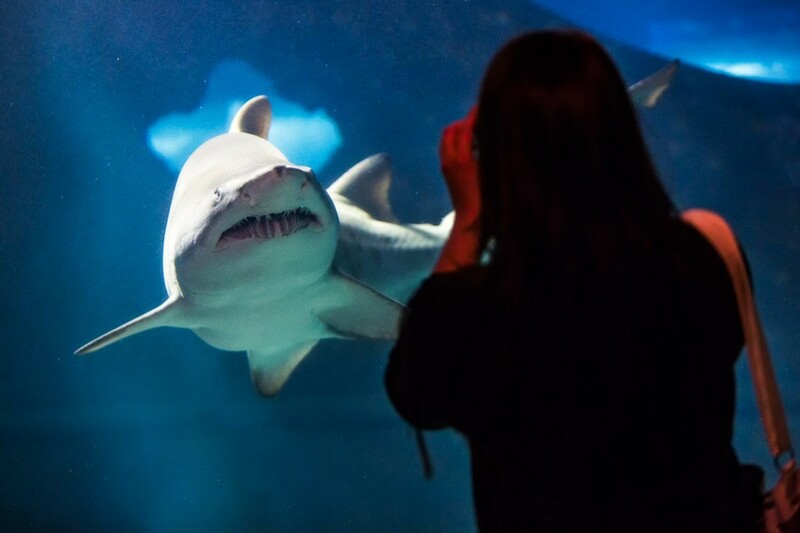 Or that some sharks lose up to 30,000 teeth in their lifetime? 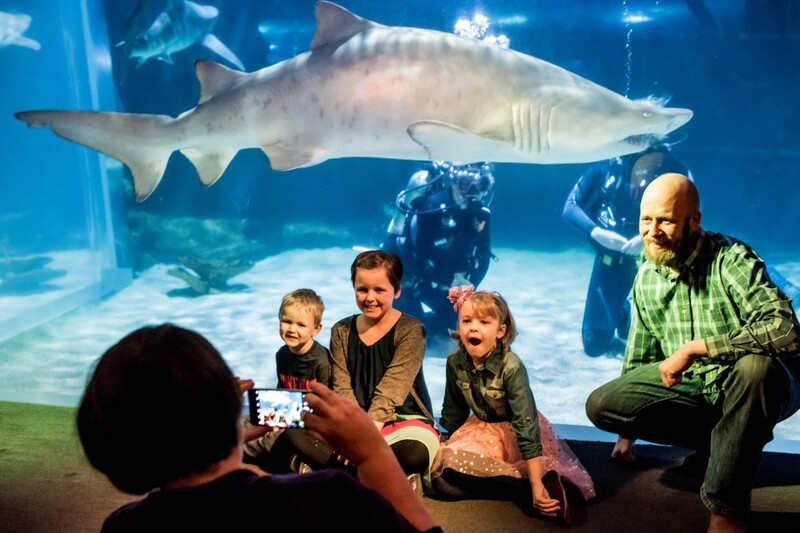 You can learn more about these and other amazing aquatic animals 363 days a year at the Greater Cleveland Aquarium. 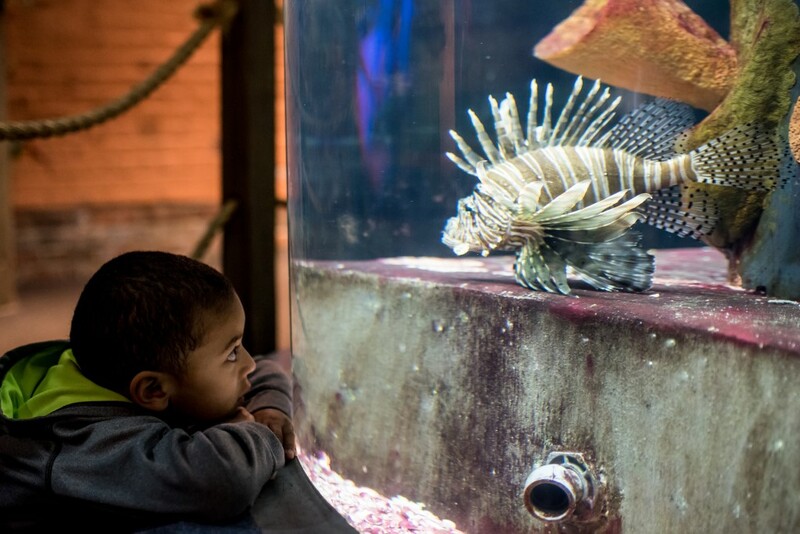 Nestled in the nearby historic brick FirstEnergy Powerhouse, the Aquariums eight immersive galleries are filled with intriguing marine life from around the globe. 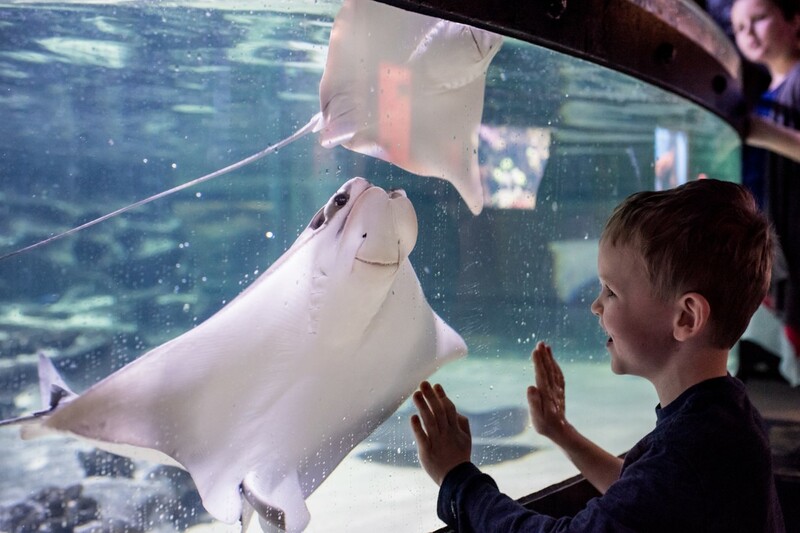 And, from an 11,000-gallon stingray touch pool to a 175-foot shark-filled seatube, unique views and interactive opportunities abound. 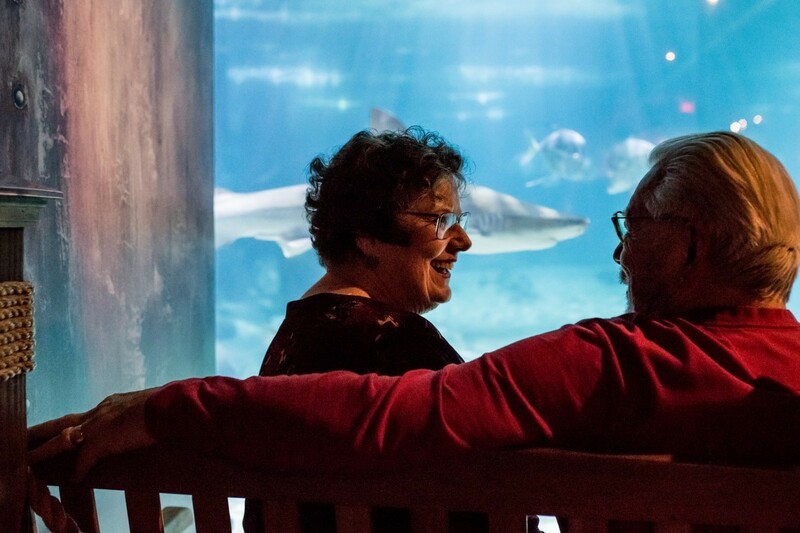 So, whether its going nose-to-nose with a blue tongued skink, getting a ticklish mini-manicure from a cleaner shrimp or talking to a SCUBA diver about the massive sandtiger shark that just glided by her in our 230,000-gallon shark exhibit, you will want to spend some quality time exploring because nature is a curious thing. 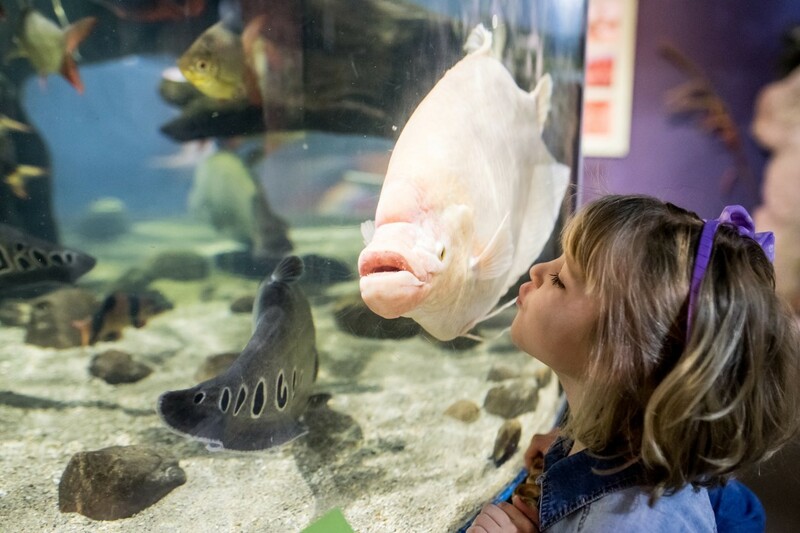 The Greater Cleveland Aquarium is wheelchair and stroller accessible and has a gift shop, café and ample parking. Group tour rates available with advance reservations.